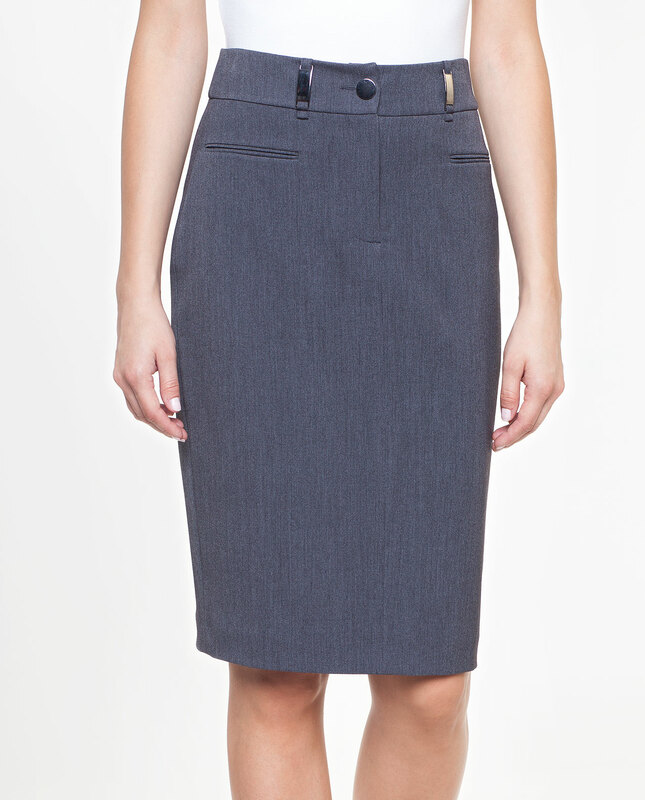 A classic pencil skirt, slightly taken in at knees. There is a front zip and a button. The version has decorative belt loops and a small slit on the back side. The stretch lining assures comfort and makes it possible to move freely. 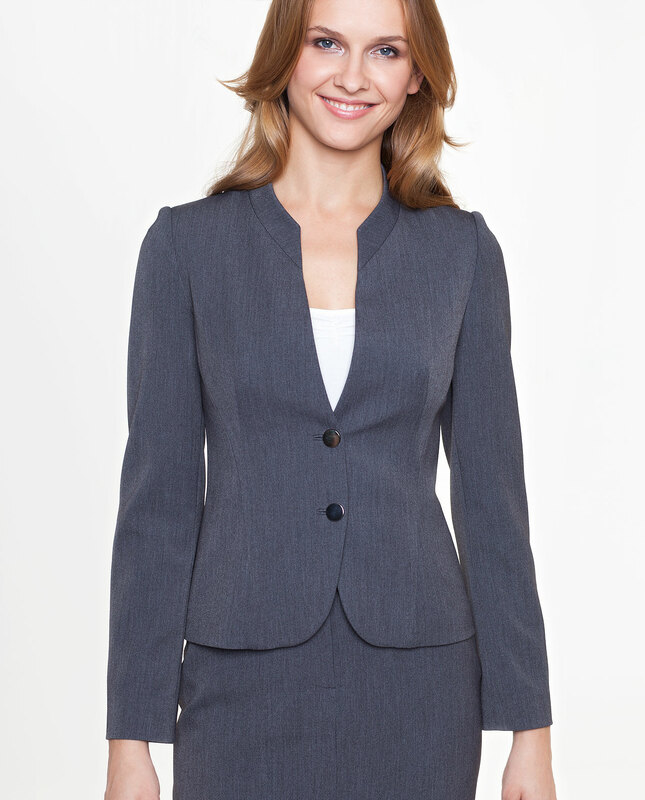 A skirt is an indispensable element of business attire: it is a perfect match for elegant blouses or jackets.